I am often assigned questions from the Ask-a-Librarian service that involve helping people locate birth, marriage, or death records. I enjoy helping patrons with reference questions because it can be like a puzzle or mystery to solve. I am a big fan of mysteries and suspense thrillers. I love books with a twist like Gone Girl, and patiently await the latest by Jeffery Deaver and John Sanford. I also enjoy mysteries with local or historical connections like Erik Larson’s Devil in the White City, so you can only imagine my surprise when I was assigned a reference question about a victim of H.H. Holmes! Holmes was considered one of America’s first serial killers. For those who have read Erik Larson’s Devil in the White City, they will remember that H.H. Holmes was a serial killer who committed his crimes in Chicago, Northern Indiana, and Philadelphia. The book is reportedly to be made into a movie, and actor Leonardo DeCaprio will play the murderer. H.H. Holmes operated a horror hotel during the Chicago World’s Fair, and lured a lot of his victims by placing advertisements in local papers for workers. One of his victims, Emeline Cigrand, was from Lafayette, Indiana; and, the last victim, Howard Pitezel, was killed in Irvington, Indianapolis, Indiana. Emeline Cigrand plays a part in the research by Adam Selzer. Adam Selzer is a tour guide and author of several books about Chicago’s mysterious past. Selzer’s latest book, to be published by Sky House Publishing, is about H.H. Holmes. Selzer utilized the Ask-a-Librarian service to find a wedding announcement for the marriage of Emeline Cigrand and Robert Phelps that was, according to the Chicago Tribune, placed in a Lafayette newspaper around the second week of December 1893. I used our newspapers holdings guide (a list of the Indiana newspapers that we have for certain counties) to identify the paper published during this timeframe. I located the Lafayette Daily Courier, and found our copy on microfilm. I then searched a two week time frame of the paper. I was unable to locate the wedding announcement. I suspect that the announcement was never published and that it was a rouse by Holmes, but this is just my theory. 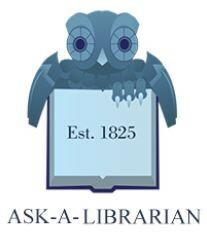 Library patrons and the general public can submit questions to our Ask-a-Librarian service. The Ask-a-Librarian services are available to anyone seeking help with a question. You can fill out the online form and the question will be assigned to a reference librarian who will be in contact with you about your submission. If you would like to read more about H.H. Holmes, please check out the following books. 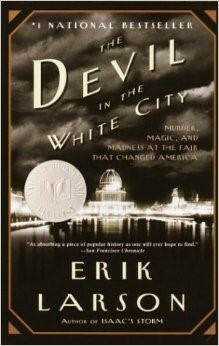 The Devil in the White City: Murder, Magic, and Madness at the fair that changed America written by Erik Larson. The Torture Doctor by David Franke. Depraved: The Shocking true story of America’s first serial Killer by Harold Schecter. The Strange Case of Dr. H.H.Holmes written by John Borowski.